First of all, I would like to wish all our loyal and brilliant supporters a very happy 2019 and I hope you all had a fantastic Christmas. We can’t wait to get going again as we face Brighton at Tranmere Rovers on Sunday afternoon in our first game of the new year. We need to improve our home form to be honest because we’ve only won one game all season at home, so we want to put that right in this fresh new year. We also know Brighton will be tough opposition so we will have to be fully ready. They will come here well prepared and will be difficult to break down, so we are going to have our wits about us to take three points from them on the day. We can’t wait to get out there on the pitch once again on Sunday. We had a disappointing end to 2018 when we lost to Everton in the Continental Tyres Cup and it was the first 20 minutes of the game that cost us. It was heart-breaking and there are no excuses for the first 20 minutes of that game. We had played four games in two weeks and physically it was difficult for us, especially with the injuries we have had, but we should have performed a lot better. 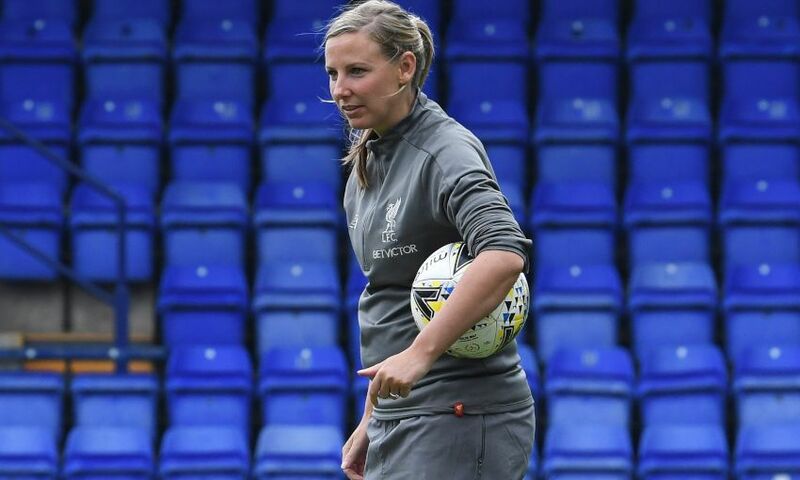 We have given some youth players an opportunity which is great and Lauren Thomas got a run-out at Reading. Back in September we had a good win away at Brighton when Rinsola Babajide scored the only goal five minutes from time. It was a difficult game for us and they created chances. We sat in and caught them when the game got a little bit stretched. The big thing on Sunday is we don’t go into this game thinking we are going to get the three points just because we beat them earlier in the season. We are going to have to work hard and we’ve certainly done our homework in terms of the game plan. I just hope we can get ourselves back to winning ways. Courtney Sweetman-Kirk has become a really important player for us and has scored some brilliant goals. 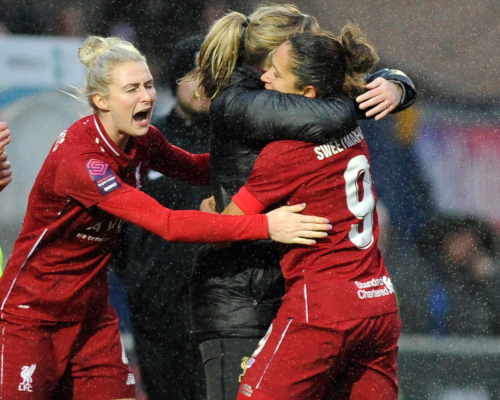 I was delighted to see her goal at Reading included in the Liverpool FC Goal of the Month poll for December. Courtney has really stood out for me. Not just with the goals she has scored, but it’s her application and her work-rate too. She has been a real leader on the pitch and it was a time when we were up against a momentum of losses which is not easy for any team to go through. It tests people’s characters and one thing Courtney did is step up to the plate for us. 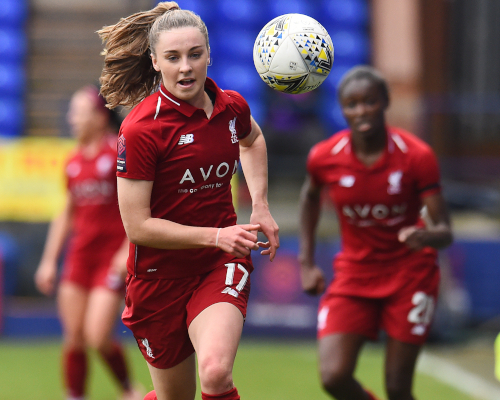 I’ve been really pleased with Courtney, in training as well her attitude, it has been second to none and hopefully she continues that in the new year and gets a few more goals under her belt. On the injury front, we will have Niamh Charles back sooner rather than later in the next month which will be brilliant for us. We have certainly missed her. We will also have Ashley Hodson back which will be another big boost for us. Ash played her first 30 minutes a in a behind closed doors game this week and will play again for the development squad later this month. It’s been a long time out for Ash but she has worked so hard and she will be back before you know it. On Sunday we will have our fans right behind the dugout in the Paddock which is brilliant as we can hear them even more and it really does inspire the girls. We would love to have as many supporters present at Prenton Park on Sunday and you would be most welcome. Season ticket holders for Liverpool FC and Tranmere Rovers FC, as well as LFC Members, can gain free entrance to the fixture.